In talking about jazz nothing warms my heart more than hearing from a musician who says she loves the notion of being off balance, playing in the moment, and has a keen sense of rhythm. 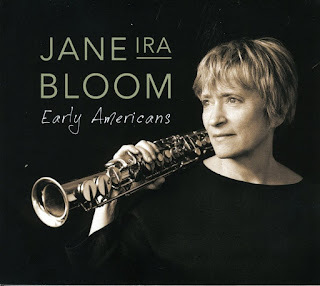 And so it goes for composer and soprano sax player Jane Ira Bloom and her marvelous new album Early Americans (Outline, 2016). The album features 13 tracks all less than six minutes, which is quite the feat for a group of musicians who love to improvise. On this record, Bloom’s 16th as a leader, she’s joined by Mark Helias, bass and Bobby Previte, drums yet it’s only her first trio album. To put out an album of soprano sax, bass and drums immediately tells you that Bloom and her band mates are fearless by not including a piano player or a guitar player to round out the chords that put music into harmonic context. 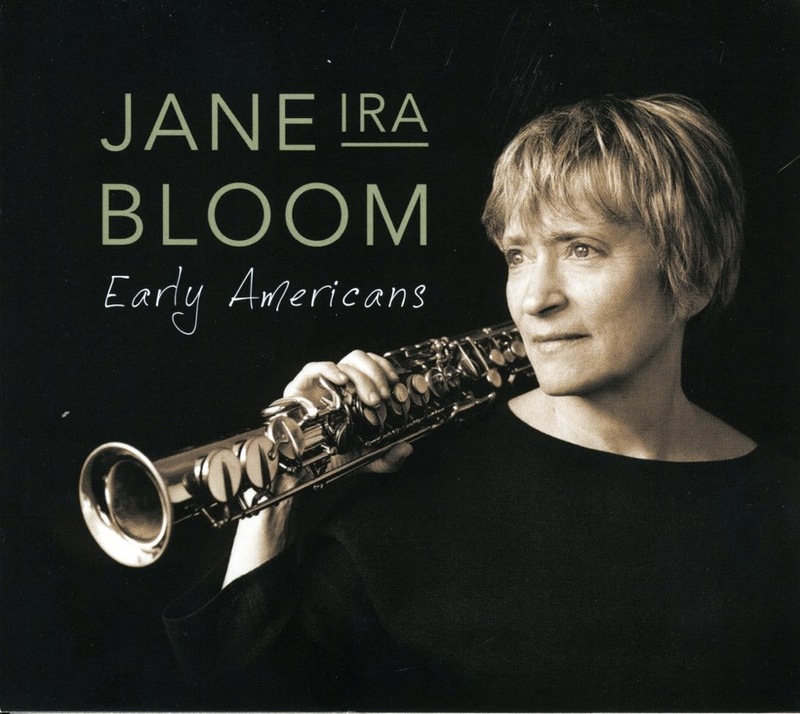 By the same token Early Americans isn’t a wild and crazy record of free jazz that, unless you’re in the room, has a tendency to be self-indulgent. Bloom’s record is much more formal with 12 original compositions and one beautiful cover (“Somewhere” by Leonard Bernstein) gracing the disc. Each work has an emotional appeal and stands self-assured creating a short story aspect to the album. Bloom is from Newton, Massachusetts, just west of Boston. She studied at Berklee and Yale University and was greatly influenced by George Coleman whose edgy and ambitious playing (on tenor sax) got him some choice gigs with Miles Davis back in the sixties. Over the past 30 years Bloom has not only proven herself as a fine musician but as a first-rate composer. In fact most of her recorded output features original work including some early records featuring electronics. Bloom has developed her own niche quite possibly out of necessity since the market for original jazz works that are off balance don’t really have a feverish audience hungry for new music. Nevertheless Bloom has persevered over the years by working with small groups she usually leads and by composing. Early Americans is her sixth album on Outline, a record label she started over ten years ago. Highlights include the spirited opening track “Song Patrol,” “Hips & Sticks,” “Rhyme or Rhythm” and “Big Bill.” These tracks in particular stand out due to the inter-play between Bloom, Helias and Previte, which is often genuinely playful and spontaneous during the improvised sections. The album is nicely balanced with two solo performances, “Nearly” (written for Kenny Wheeler) and that superb performance of “Somewhere” from West Side Story. Both cuts showcase Bloom’s originality and spirited sound one that is instantly appealing and delightfully in the moment. Part of the record’s success comes from Bloom’s beautifully rounded tone and the warmth of the Avatar Studio in New York where the session took place last summer. Hers is a musical life and she’s fully committed to it.